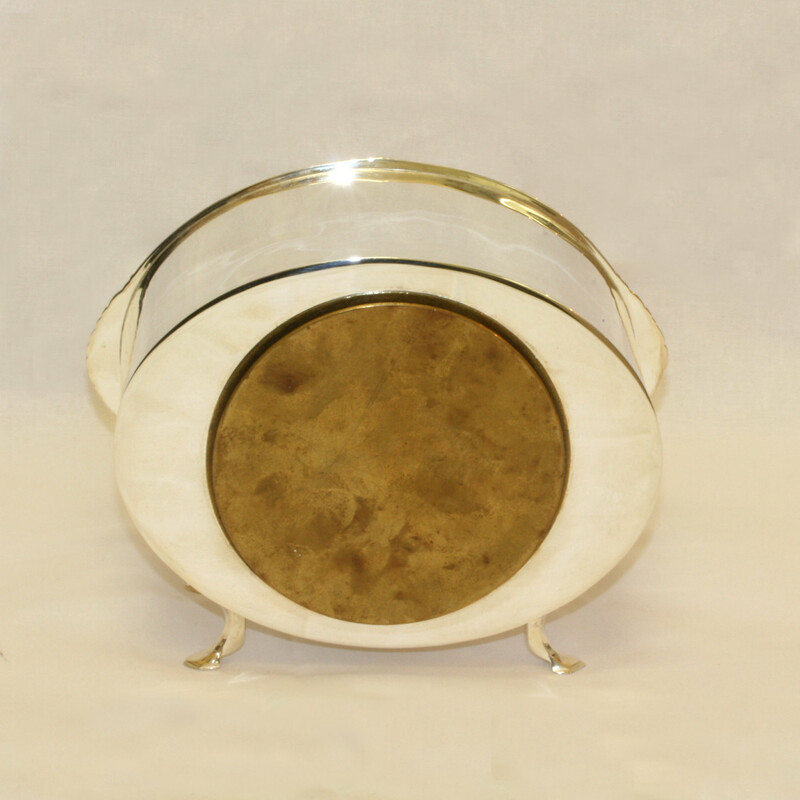 Product code: ES7321 Categories: Sold Items, Sold Watches. 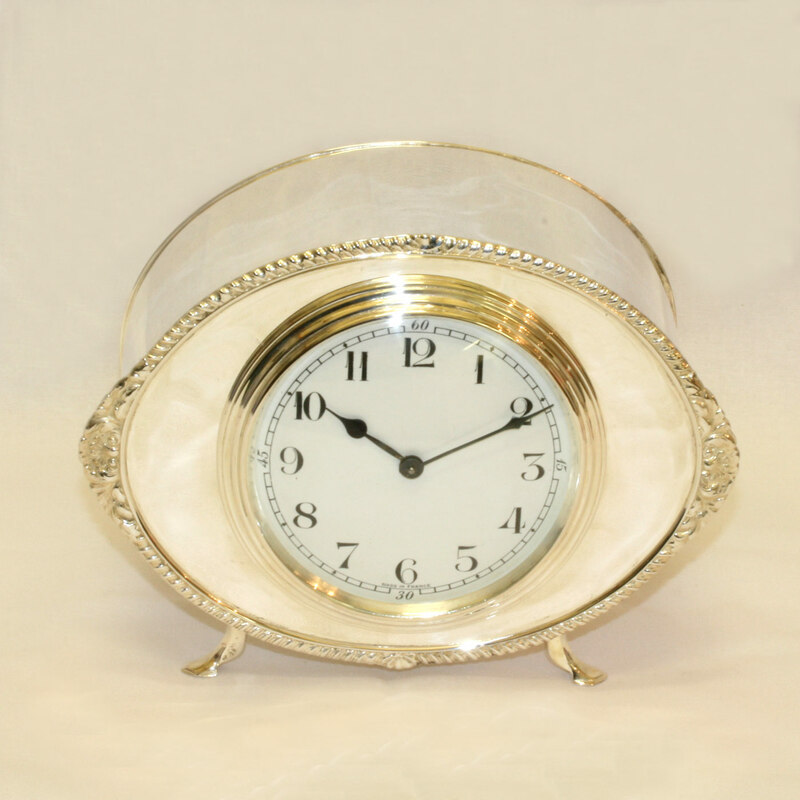 Here is a very beautiful and stylish silver plated clock made in the early 1900’s, that looks wonderful and really stands out. The entire clock has just undergone a full silver replating and looks as good now as the day that it was made. Measuring 17cm (l) x 13cm (h) x 8.5 (d) and sitting on wonderful feet, the style is typical of the early Art Nouveau era, and the white enamel dial still looks perfect. Fitted with a French platform escapement that keeps perfect time, this will make a wonderful addition to any home. Many more Antique Clocks in store, including French Carriage Clocks!